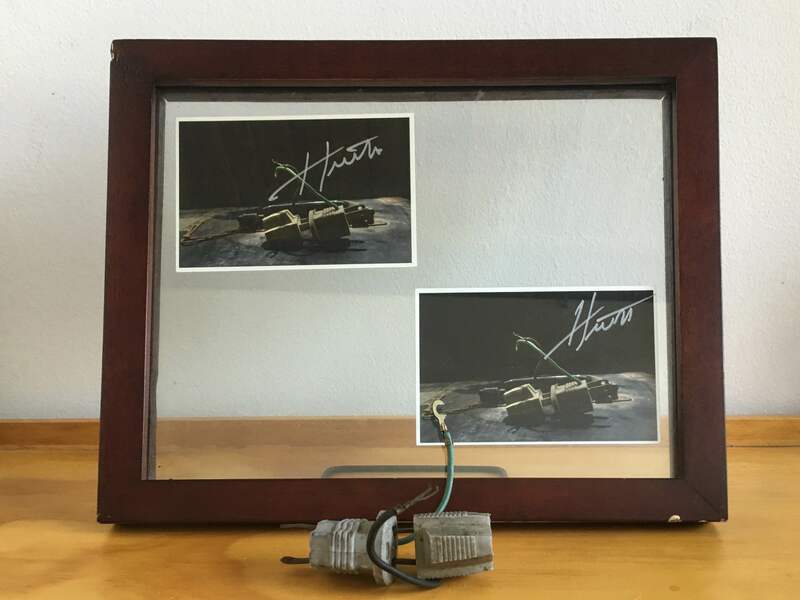 Two photos of Gene Smith’s electrical adapters by Frank Hunter, with actual adapters. Photo by Scott Schomburg. August 2016. Gene Smith’s Sink: A Wide-Angle View. I was once present at a lecture that Eugene Smith gave to some students at a school of photography. At the end, they protested because he had made no mention of photography, but had spoken the whole time about music. He calmed them by saying that what was valid for one was valid for another. We might have been educated to be extremely selective in terms of our attention. For example, Marion Milner talks about “wide-angled attention.” She says, “If you want to paint an object, look at everything around the object but not at the object itself.” So there wouldn’t be overfocus, overconcentration. There’d be the possibility, say, of being surprised. Coming from Farrar, Straus and Giroux in August 2017.